Manipulation of texts for artwork, postcards, posters, and other visual designs. Designing mockups for uncompleted websites. Even for icons used in a website like the glyphicons and thumbnails. 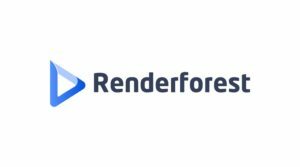 Animated 3D creations and rendering of 3D animations from third party software. Can also be used for video editing and visual effects production. Adobe Illustrator is the standard tool for creating vector graphics for web, video, and images but it’s pretty expensive hence the need to seek cheaper or software that would accomplish the same task. 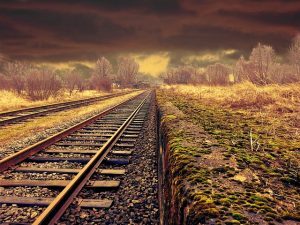 And when looking for these cheaper options, users also need to be on a lookout for software that would fit into their learning speed and software that would get the job done. 2 Why some of the alternatives are better? This is the best free alternative to Adobe Illustrator. 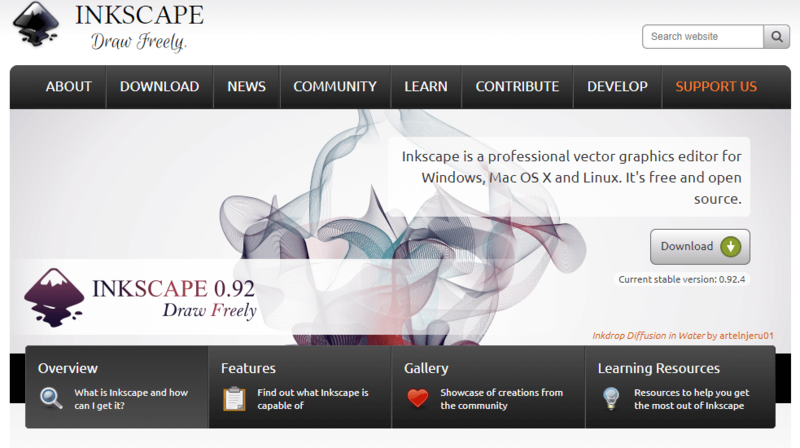 It is an open source graphics tool used by professional web designers and graphics designers. This means that the user can tweak the software to suit their work needs. Inkscape has special spiral tools to create patterns, advanced manipulation options and multiple filters which are not readily available in other vector image designer tools. Being an open source tool, it can be infused into other software and used from there. Though a bit slow, new versions have proven to respond faster. It works just as well as any software on computers with large RAM and ROM size. This is great right! 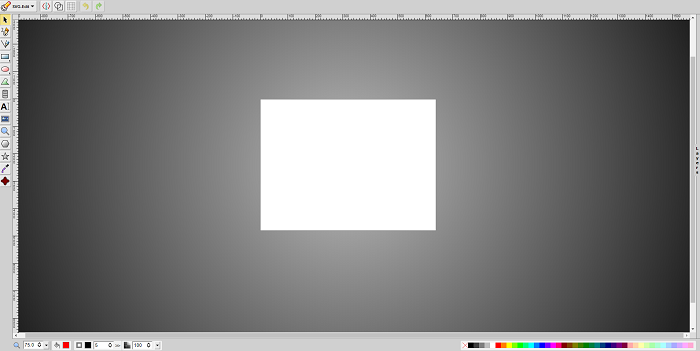 This is a browser-based alternative of the Adobe Illustrator. There is no need to download software. All that is required is an internet connection and the editor is live. It comes with the usual obtainable basic tools and is simpler to learn and master than the Adobe Illustrator. 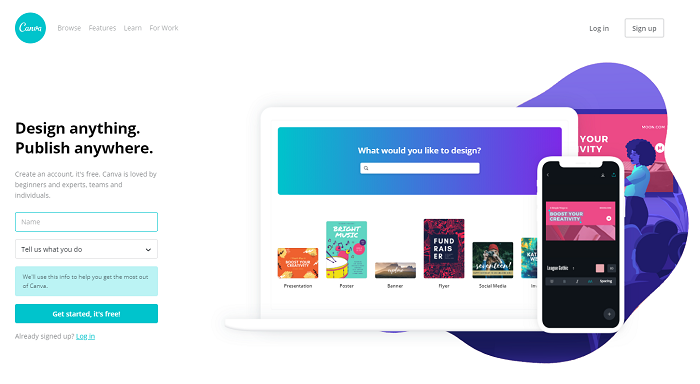 It provides options for the Google Fonts’ integration and as the name suggests, it can store files in native SVG formats which can be opened in other image editing apps and worked on without the need for conversion, although files can be saved as JPEG, WebP, GIF, and PNG. 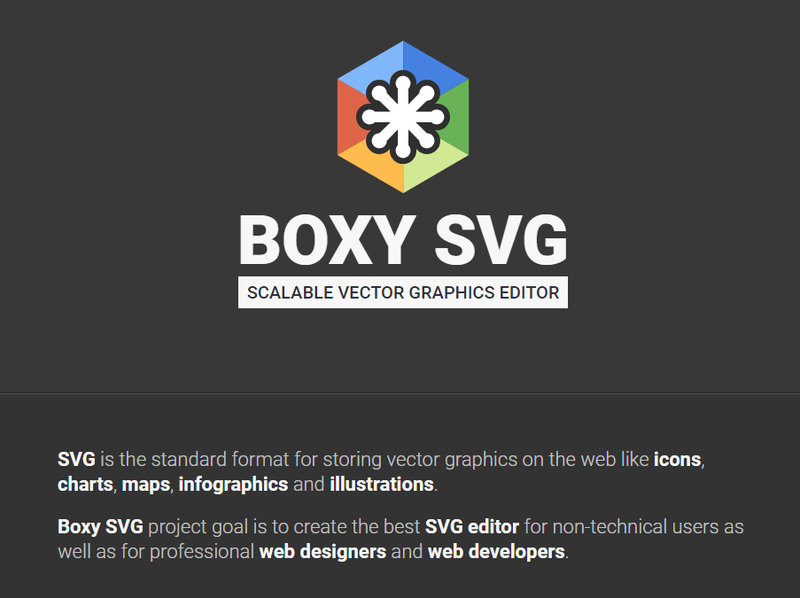 The most important feature of the BoxySVG is the simple user-interface and how it has a very gentle learning curve. This software can either be downloaded and installed into a computer or used directly from a browser as it has support for browsers like Chrome, Opera and Safari. Vectr has a very shallow learning curve and this is because it doesn’t come equipped with a lot of tools advanced as other image editors have. It is usually used by beginners for the easy groundwork before further advanced work is done by other image editors. This image editor comes with the basics like: pen, knife, Bezigon, gradient editor, line and eraser amongst others. But not only that, it has more tools for advanced editing like the symbols, Boolean support operations, and international text support. It has an easy to use interface and comes loaded with video tutorials in case users need a quick explanation of how an operation in the software works. It has the in-browser feature that enables users to use the software directly from a browser. It can also be downloaded for the Linux, Windows and Apple Macintosh. 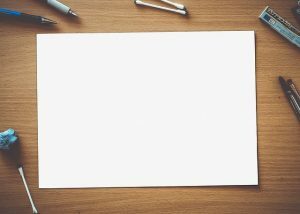 Designs can be saved in different formats ranging from JPEG, PNG, and GIF to SVG for easy access if more work has to be done on the designs from other software. It is free! This is one of the most popular image editing free software out there. It is a browser-based image editing tool that offers over 40,000 templates for every type of design and image. It can be used to create dynamic fliers, posters, ads, and website backgrounds. The tools are not so advanced and users do not get as much control as they would desire. This is where the templates come into play as the user does not need to create designs from scratch. They just need to pick a template and edit from there. Very cool designs have been accomplished with this tool. It even has a mobile app version. This is another substitute to the Adobe Illustrator. This illustrator is most suitable for the web browser as it works perfectly from any web browser and it has no server-side processing. 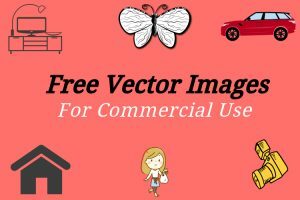 This free vector can be used to create SVG images and also to edit existing ones. 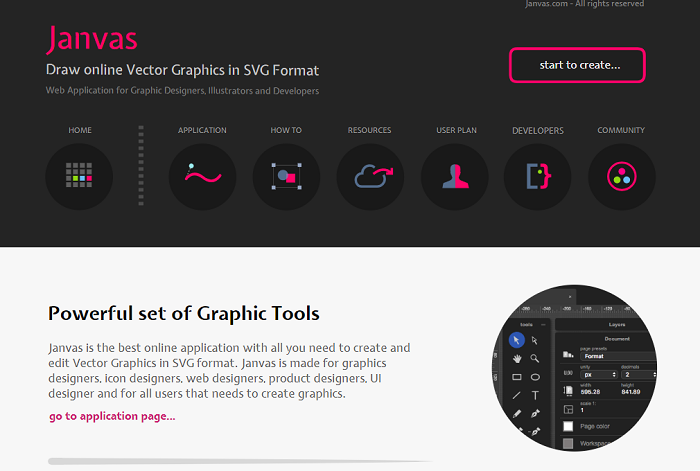 It comes preloaded with the basic vector editing features like the text tools, shape tools, path tools, and hand drawing tools. 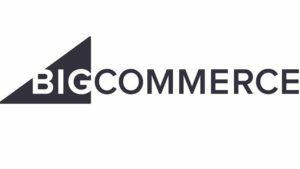 It is built to be an open source software and code tweaks can be used to modify it to the taste of the user as most developers have various versions modified for their use. 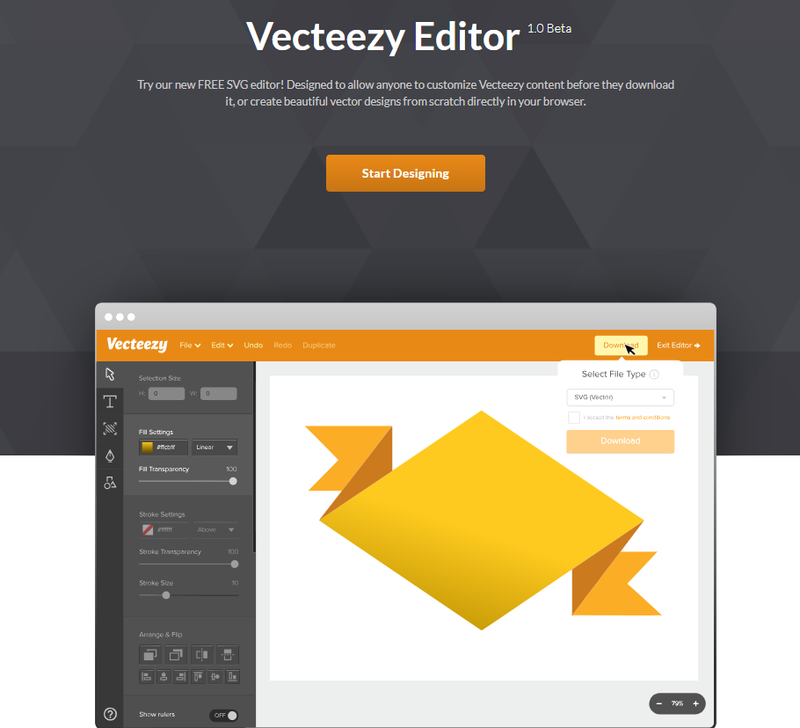 The Vecteezy image editor is an in-browser alternative to the Adobe Illustrator that can be conveniently used to edit SVG files, create logos and icons for the web and designs. There are a lot of pre-created shapes and readymade clipart to select from which takes off much of the stress of having to create from scratch. It is very easy to use with basic tools and there are no hidden features which user might have to pay to access. 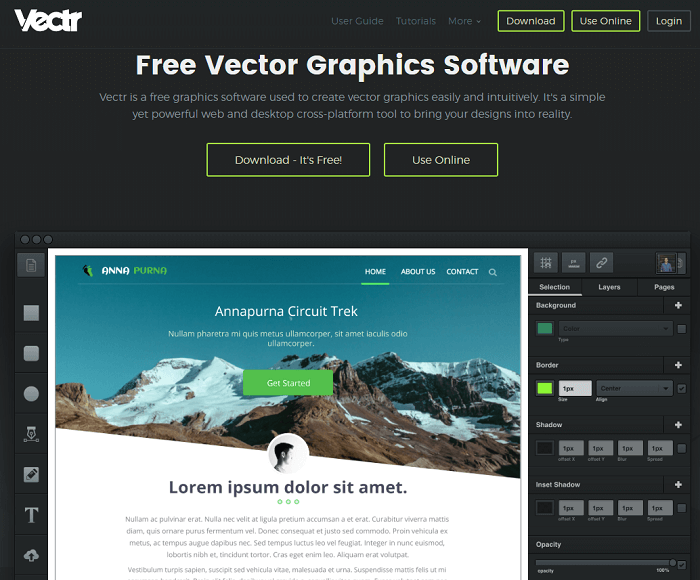 It is a good choice for creating vector elements but the only downside is that it requires the user to create an account to save their work from the site. 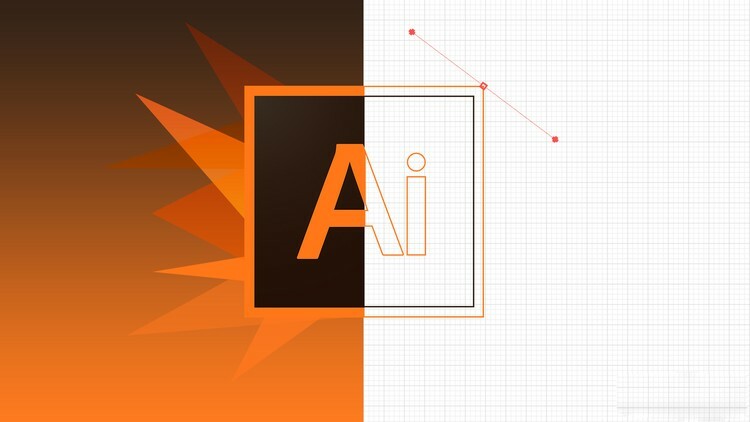 This is another alternative to the Adobe Illustrator, but is more advanced than the others mentioned above and hence is used by more experienced and professional designers. It has a very steep learning curve but that’s not a problem as there is hardly anything the Adobe Illustrator can do that it can’t. 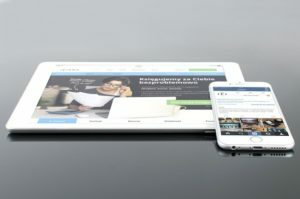 It was built for interface design and also has mobile apps for Android and Apple devices. The intriguing feature of the Figma is that not only can files be saved and exported as JPEG, PNG, or SVG, it can also be copied out as CSS files for web design and pasted into the code. Janvas is a tool that comes with support for masks, pre-created gradients, patterns and textures and filters that help make the design great. It is great for learners as it has a huge library of templates for icons and user interface elements. The main and only problem with Janvas is that it is not always up to date and it has the panel-heavy interface that is not easy to master. Being a web-based illustrator, the slow updates tends to make the app buggier to use than the other. But guess what? It is free and the learning curve is shallow so it’s a Win! Why some of the alternatives are better? They are free as opposed to the Adobe Illustrator which come with a subscription fee. You don’t have to install some of them into a computer’s hard drive to use them, because they are web supported. Some of them come with customized templates and have shallower learning curves than the Adobe Illustrator which has a steep learning curve. Generally, the Adobe Illustrator is an image editing tool that can be replaced by quite a number of video editing tools out there on the internet. What users need bear in mind is: the price of the software they intend to work with, how fast they can easily learn the ropes of their software of choice and how broad the software of their choice is. Because most of this other software, though being free and easy to use they cannot do quite a number of things the image editor/video editor can do. Also, the alternative apps have to be updated regularly to keep integrated with new if any and keep them from lagging. By far FIGMA seems to match Adobe Illustrator head on. If there are more apps or software you feel are better or object to any of the above kindly leave a comment in the comment box below. By the way, we would like to remind you to keep all your license programs like Adobe illustrators and other programs or securities, especially if you have a business, in the virtual data room. This will allow you to protect yourself from any fraudsters or bugs that will contribute to the leakage of any confidential information, passwords or corporate secrets. Author’s BIO: Lori Wade is a writer who is interested in a wide range of spheres from business to entrepreneurship and new technologies. If you are interested in M&A or virtual data room industry, you can find her on Twitter & LinkedIn or find her on other social media. Read and take over Lori’s useful insights!